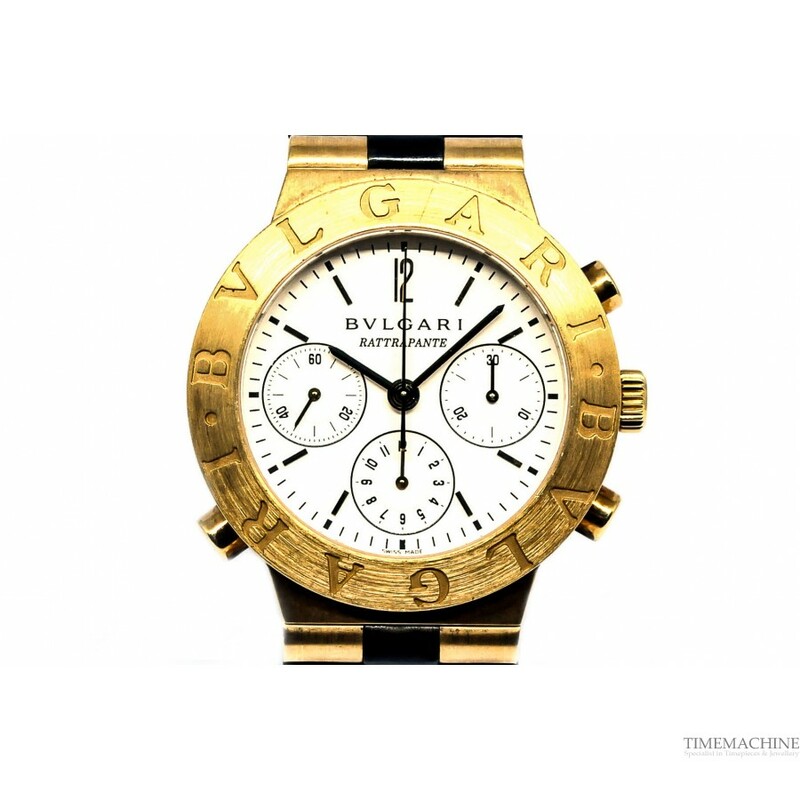 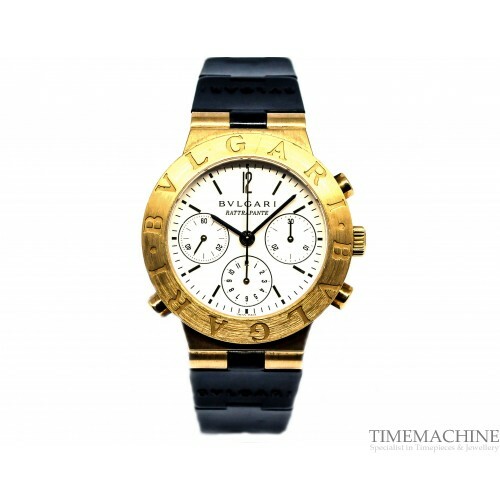 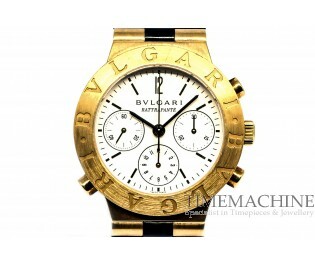 Pre owned, Bvlgari Diagono Rattrapante Split Second, 40 mm yellow gold case with rubber strap, white dial, chronograph, sapphire crystal glass, see-trough back with sapphire crystal glass, automatic movement. 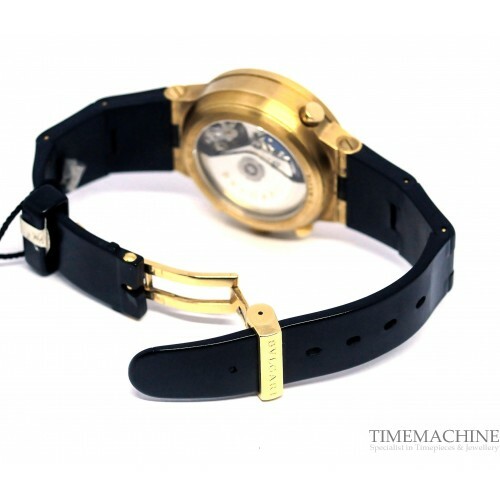 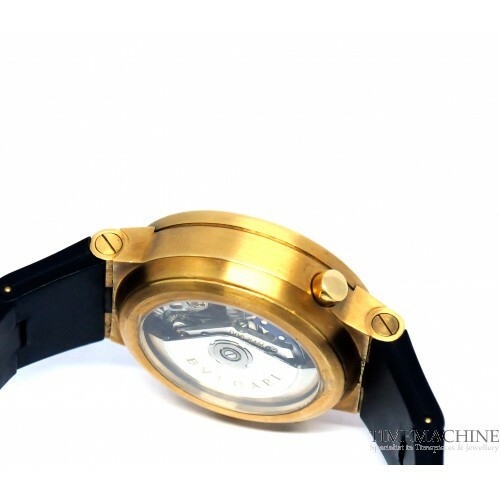 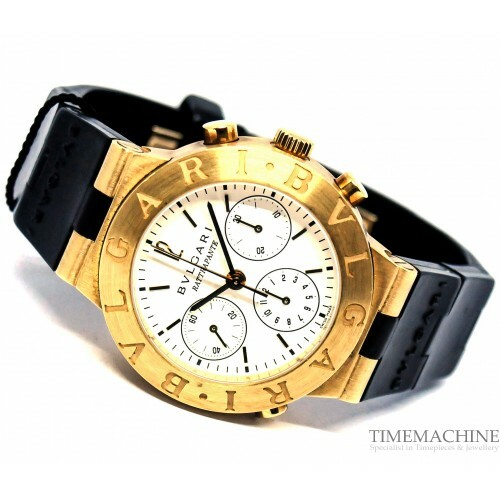 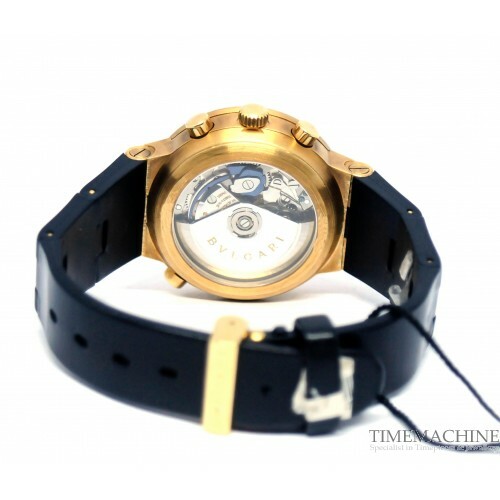 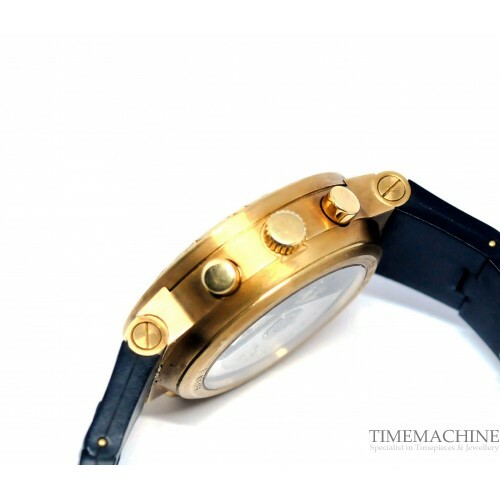 It has Time Machine London Box and 12 month mechanical warranty. Please Quote 2575 in all communications with us regarding this Timepiece. 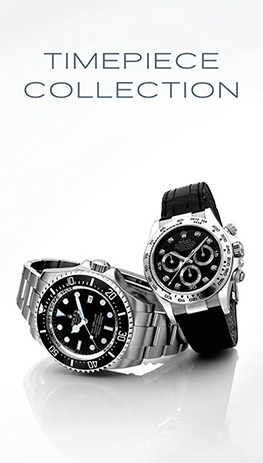 Combining cutting edge materials and the utmost performance, the diagono luxury watch for men is know to be sporty yet elegant. 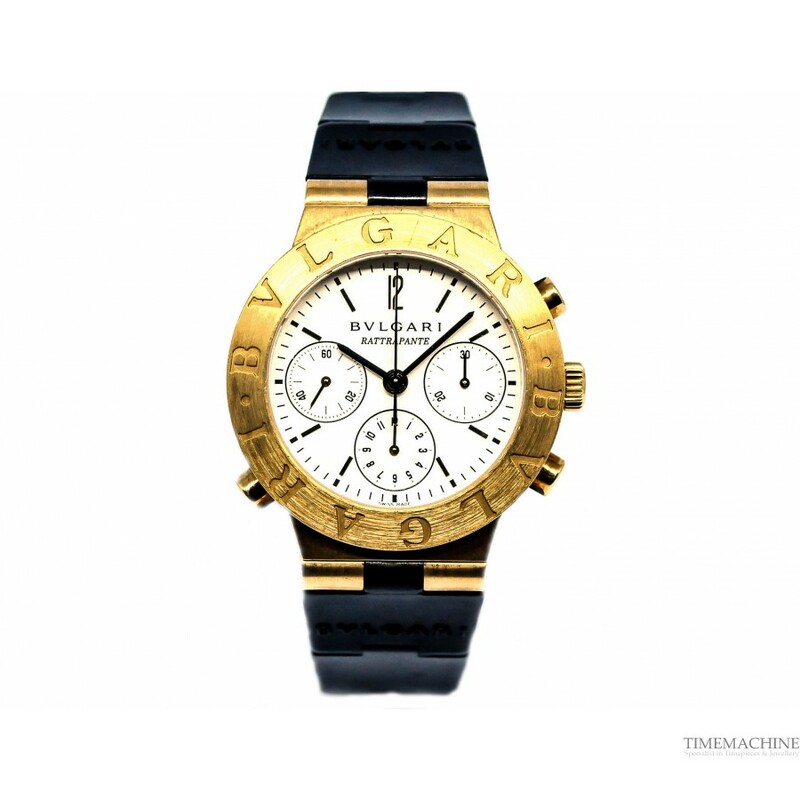 Named after the ancient Greek 'agon', competitions to determine the best debaters or athletes, the architecture of Diagono brings out the best in Bvlgari engineering.